You’ve made an excellent choice in using Solid Surface in your project. You know exactly how you will unleash it’s design potential. You have chosen the perfect color. There is still one important consideration that some designers may overlook. This is the finish option. Choosing the proper finish can have a big impact on the final look and feel of your project. Dupont Corian and other Solid Surface materials such as LG Hi-Macs, Staron, Avonite, and others are typically available in 3 different finish options from the fabrication shop. Matte, Semi-Gloss, and High-Gloss. This is the most common finish for light to medium colored countertops and other projects. Think of this as an “all purpose” finish. Matte finish has a soft, even look and feel, with a slight sheen that increases over time with general cleaning. This is also an economical finish due to the fewer sanding steps needed to achieve it in the fabrication shop. 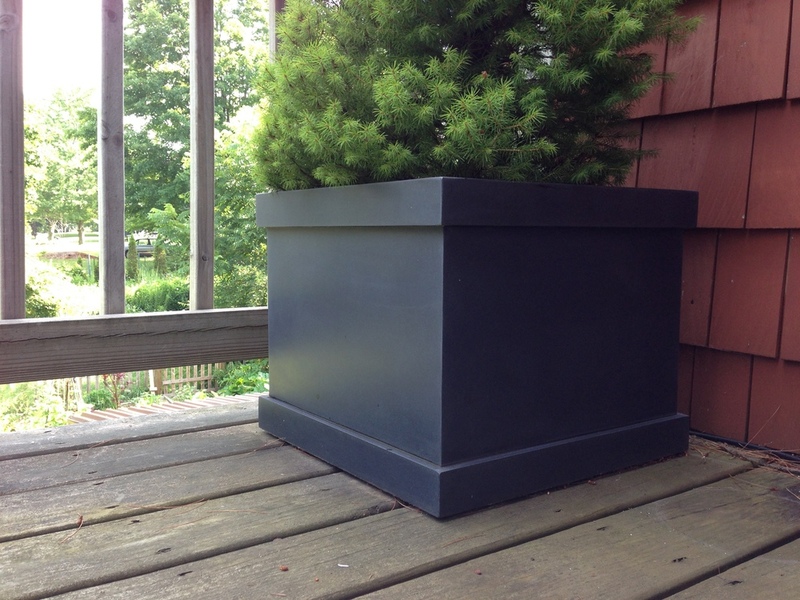 Matte finish is great for surfaces that will get heavy use or traffic. It is also the easiest to maintain. Semi-gloss kicks things up a notch. This finish has more shine than a matte, but is not as reflective as a high-gloss. The feel of the material becomes more slick and smooth than the soft feel of a matte finish. This finish will also start to reflect any overhead or accent lighting. Often, darker colors require a semi-gloss finish to really bring out the color and beauty of the material. Otherwise, depending on the color, they may appear blotchy or hazy. Semi-gloss would be a good choice for darker colors that will see little to moderate use. The curves of thermoformed surfaces are enhanced when a semi-gloss surface is applied. The HD of solid surface! This is a mirror-like finish, think grand piano. The look and feel of a high-gloss surface is shiny and slippery. Dark colors really pop in high-gloss, but whites look amazing as well. In lighter colors, the difference between matte and semi-gloss is incremental, but matte to high-gloss is substantial. All the benefits of semi-gloss are multiplied with high-gloss. While the 3 finish options listed above are typical, other options are available as well. For example. A rougher finish than a standard matte might work well for a shower pan or walkway to give a little bit of traction. Think creatively as well. While dark colors are normally brought up to a semi-gloss or high-gloss, a rough matte can have a totally different and interesting look. A black piece of material can go from looking like a glossy piano to a piece of natural slate, just by changing the finish option. Some designs are enhanced by using the same color, but mixing matte and gloss finishes. Finish options are another facet of the endless design possibilities of Solid Surface.